Fundraising, Volunteering, Donating, Online shopping. We welcome support of any kind! We are funded solely by voluntary contributions and fundraising events; we don’t receive any government assistance. So the support of our members, volunteers and others is crucial. Here are some of our sponsored recent projects. Our fundraisers play a crucial role – finding us the money that keeps the Centre going! 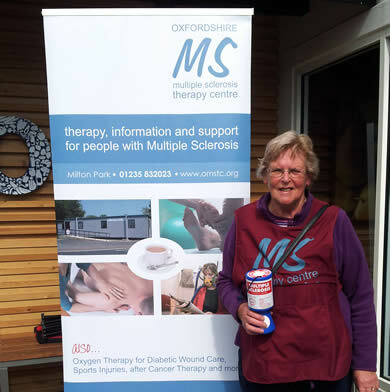 If you are interested in becoming involved in our fundraising efforts – whether via collections (usually Abingdon & Didcot supermarkets), skydiving (Banbury), organising a dragon boat racing team (Abingdon) or helping with our quiz night (Didcot), please do let us know. We can never have too many people raising money for us and new ideas would be very welcome! 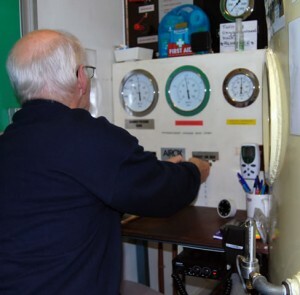 We depend heavily on our dedicated team of volunteers, who do everything from making coffee to running the Oxygen Therapy Sessions. If you have some time to spare, and would like to provide valuable assistance to a local charity, please, please get in touch! Keep an eye on our blog too for any specific vacancies. You can make a direct donation to the Centre via our Virgin Money Giving page. Or if you’d prefer to donate directly via bank transfer or cheque, please contact us. We recycle printer ink cartridges through ‘Cash for Cartridges’. Please bring your used cartridges into the Centre, don’t forget to ask your friends and neighbours too! All brands accepted apart from Epsom, Brother and ALL toner cartridges. We recycle inkjet, laser and toner cartridges through Recycle4Charity. Please bring in to the Centre and place in the recycle box in reception. All brands accepted apart from Epsom and Kodak. ANY old or unwanted: Gold, Silver, Costume Jewellery, watches, Foreign or UK Banknotes (even out of circulation ones) We have Freepost Recycling Envelopes at the Centre. We receive a cheque for 75% of all profits. The Charities Aid Foundation (CAF) Give As You Earn scheme is an excellent way to give if you are an employee. Rather than putting cash into a collection, you make tax-efficient donations – and raise even more money for us! Ask your employer whether they are part of the scheme. If not, they can find out more by calling 01732 520123 or visiting www.cafonline.org. Contact the Centre if you need further help with this. Do you frequently shop online for groceries, gifts, books, clothes, toys, holidays, hotels, mobile phone contracts, insurance, or just order a pizza or rent a movie? If so, you can now raise a commission for us when you shop online with 1000 retailers from the convenience of your own home at no extra cost to you. 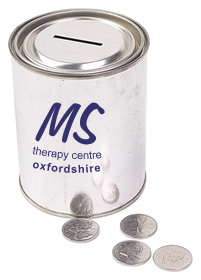 Simply click through to a retailer’s website via the centre’s online estore www.easyfundraising.org.uk/causes/omstc/. The first time you do this, you will now need to register an email address and create a password. You then search for the retailer’s website where you browse and shop as usual. Don’t forget to tell all your friends to shop online via our estore. There are so many ways local businesses can help us! By nominating us as a ‘Charity of the Year’, donating valuable business expertise, holding a one-off event, or simply making a donation. We welcome any kind of support from our local business community. When it comes to fundraising, the Charities Aid Foundation (CAF) Give As You Earn is an excellent way for employees to give. Rather then putting cash into a collection, employees can make tax-efficient donations and raise even more more us as a Centre. CAF’s fundraising team, Sharing the Caring, offers every employer a free service to promote their payroll giving schemes to their employees. They can advise on everything from ideas and strategies to template joining forms. If you would like help implementing your campaign, find out about using Sharing The Caring at no cost to you. Just call 01732 520123, visit www.cafonline.org. Please contact us to arrange a visit & find out more.